Keep your Home Sweet Home warm in winter and cool in summer. Place this Home Sweet Home draft blocker at the bottom of any door to stop air leaks and improve energy efficiency. 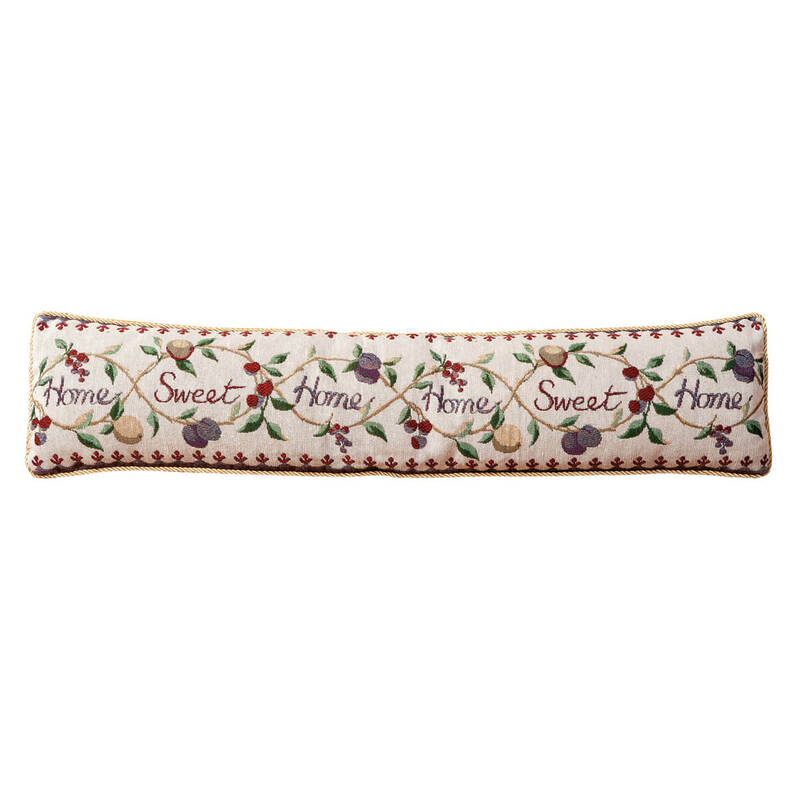 Tapestry fabric features “Home Sweet Home” bordered by colorful grapes, peaches and plums for fresh style that complements any décor. Draft guard measures 35″ x 8 1/2″ x 3″. 65% polyester/35% cotton. Spot clean. With two doves coming together to form a heart, this Personalized Dove Wedding Plaque is a perfect way to commemorate the union of two people. The celebrated couple can proudly display their family name and anniversary date. 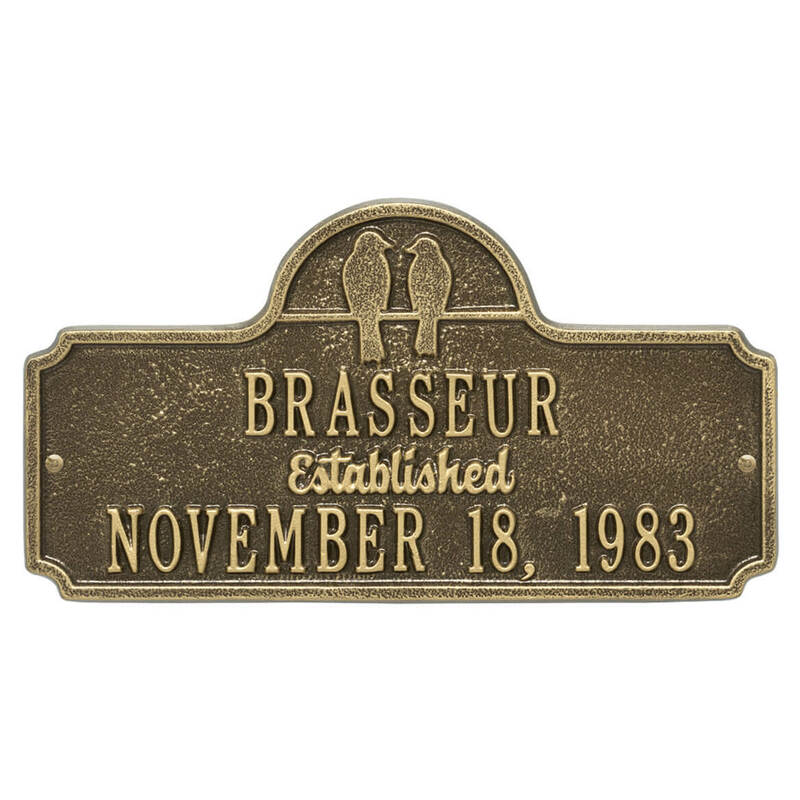 A Personalized plaque is a perfect gift to commemorate all of life’s celebrations. Makes a great personalized wedding, anniversary, or house warming gift. Handcrafted aluminum plaque for indoor or outdoor use. Alumi-Shield™ protects against the harshest weather and environmental elements, extends the product life and maintains the look and function. Specify message: limit 2 lines, 12 characters each. Made in the USA. Sturdy, magnetic wreath hanger adds decoration to steel doors—holding up to 5 pounds! No nails, hardware, drilling or damage to door; reusable, weather-resistant, vinyl-coated hook works all year long, indoors or out. 2 3/4″ dia. This Personalized Family Tree Wedding/Anniversary Plaque with a decorative family tree and the quote “Growing Together as Family” is a great way to commemorate your family. Space available for Family name and established date. 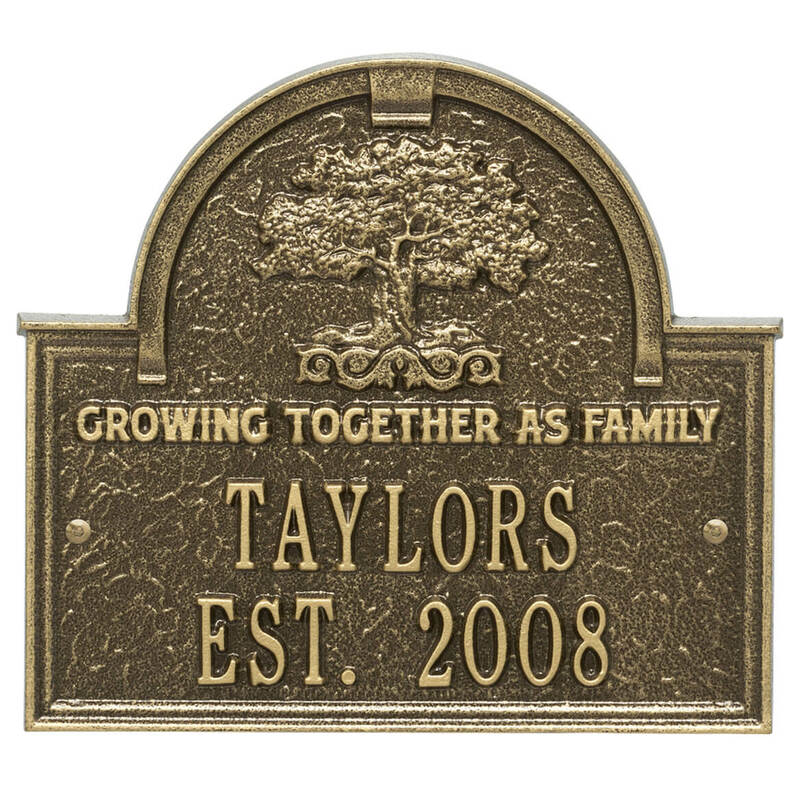 A Personalized plaque is a perfect gift to commemorate all of life’s celebrations. Makes a great personalized wedding, anniversary, or house warming gift. Handcrafted aluminum plaque for indoor or outdoor use. Alumi-Shield™ protects against the harshest weather and environmental elements, extends the product life and maintains the look and function. Specify message: limit 2 lines, 12 characters each. Made in the USA. Mail alert ball prevents wasted trips to the mailbox. This mailbox alert has a bright yellow ball that pops up to signal “mail call” from hundreds of feet away! 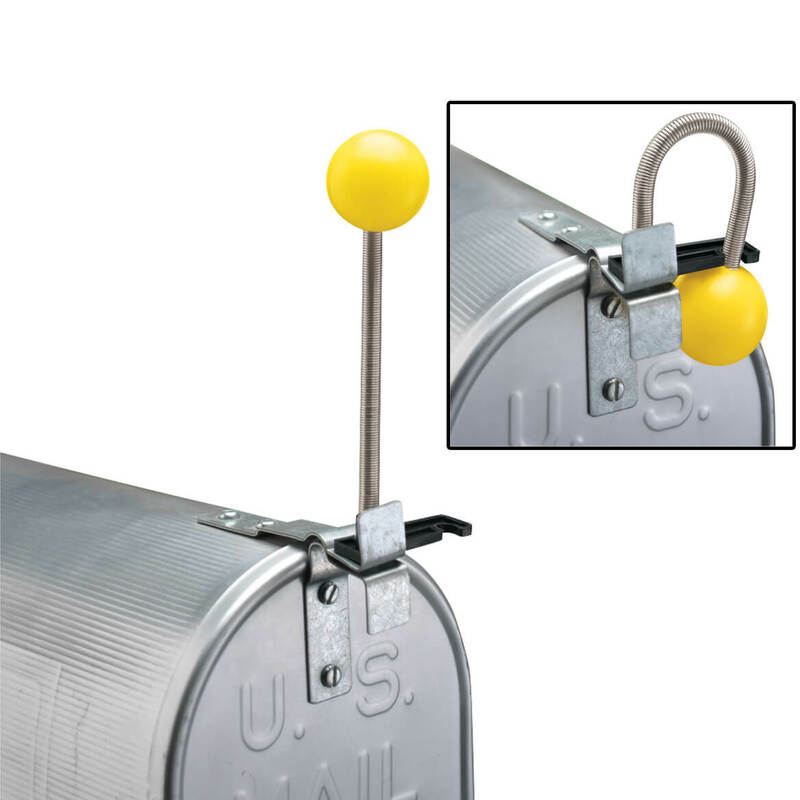 It’s the easy mail sign you asked for … a spring-loaded ball pops into vertical position when postal carrier opens your mailbox, eliminating guesswork. Installs easily to most rural mailboxes; hardware and instructions included. Metal, plastic. 6 1/2″ high. 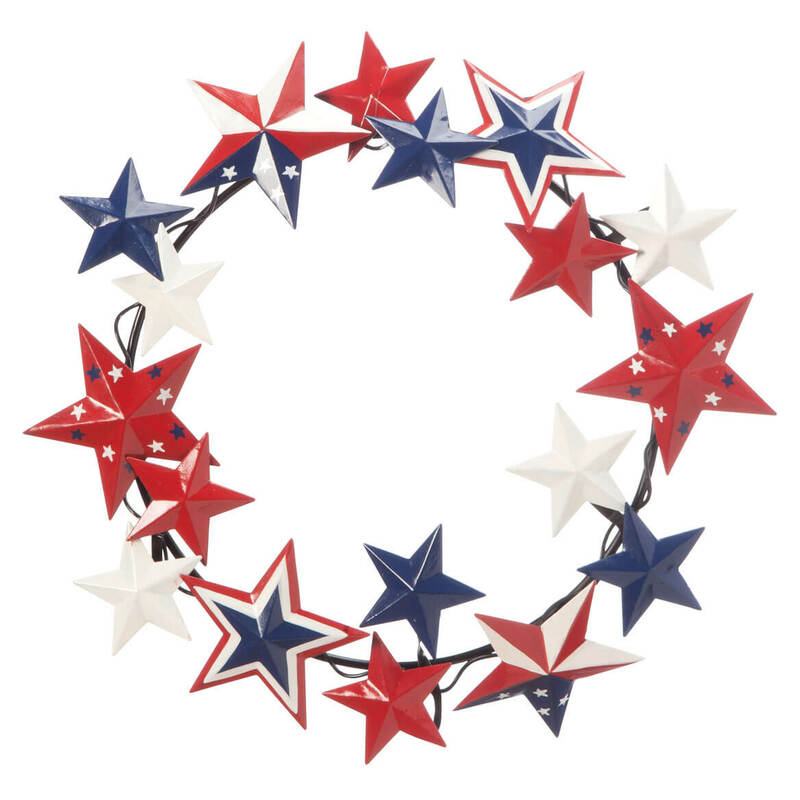 Featuring brilliant barn stars in a proud array of patriotic patterns and sizes, our metal American barn star wreath by Maple Lane Creations™ is an American classic … durable, affordable and only found here! Exclusively designed by the artisans at Maple Lane Creations™, the 100% metal wreath features stunning painted detail on each patriotic star, lending charm to your home on Independence Day or any day. Summer wreath includes hanging hook for indoor/protected outdoor display. 11″ dia. Two birds together on a wire until the sun sets is a perfect analogy for two people spending their lives together. The simplicity of outer shape and silhouetted bird design give this Personalized Love Birds Anniversary Plaque its understated elegance. 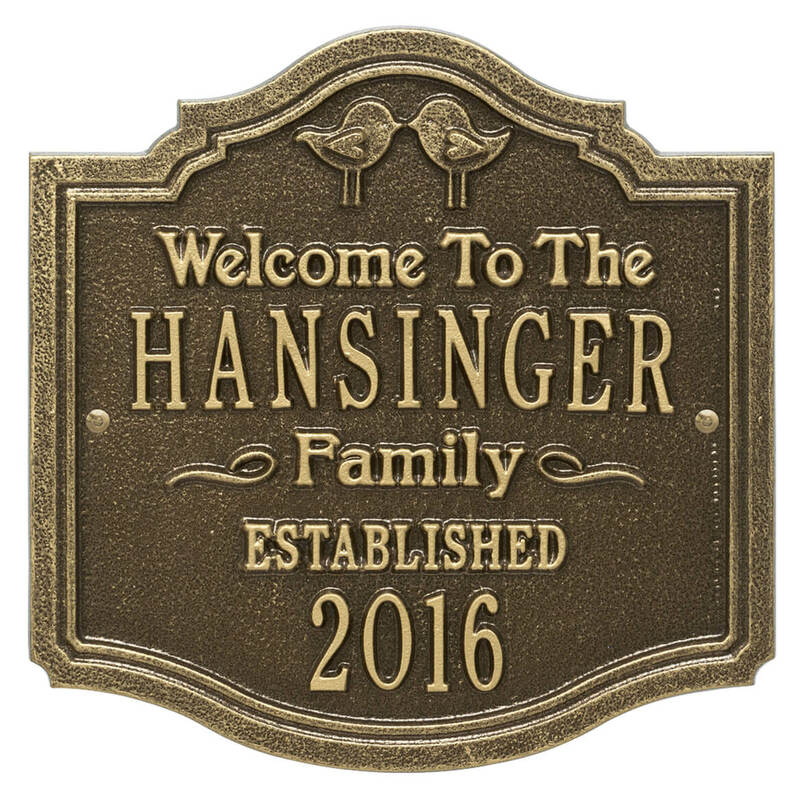 A Personalized plaque is a perfect gift to commemorate all of life’s celebrations. Makes a great personalized wedding, anniversary, or house warming gift. Handcrafted aluminum plaque for indoor or outdoor use. Alumi-Shield™ protects against the harshest weather and environmental elements, extends the product life and maintains the look and function. Specify message: limit 2 lines, 16 characters each. Made in the USA. 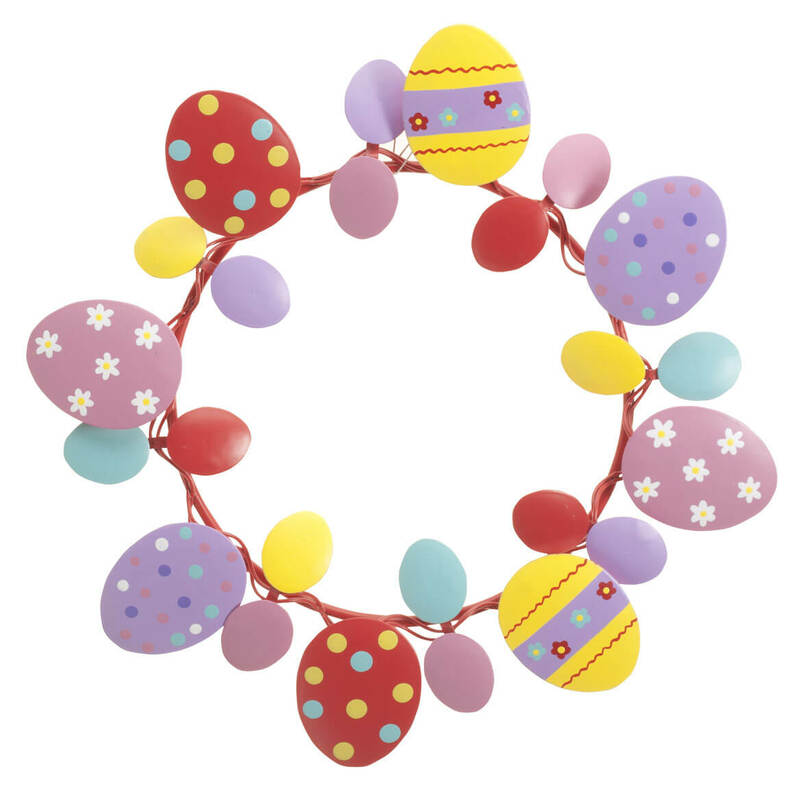 An egg-stravaganza of color and style, our painted metal Easter egg wreath by Maple Lane Creations™ brightens your Easter décor (quite beautifully, may we add!). Boasting a medley of bright, happy hues in striped, swirled, flowered and polka dotted delight, this spring decoration is great for any door or wall, and a fun pop of color for your table’s Easter centerpiece. Designed for indoor/protected outdoor use, the versatile, durable 8″ diameter metal wreath includes hanging loop. 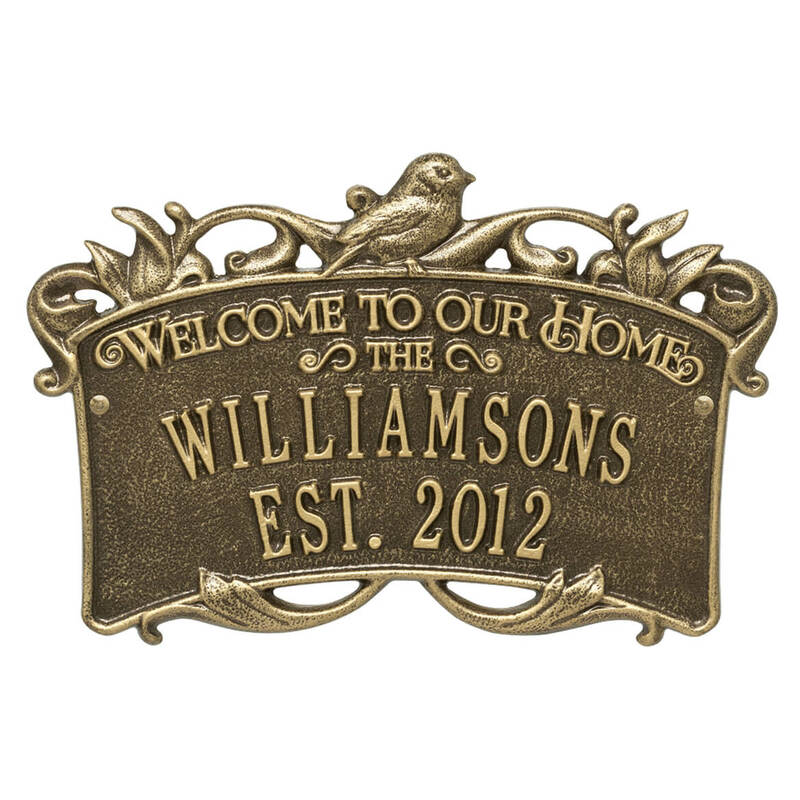 This beautiful silhouetted Personalized Songbirds Anniversary/Welcome Plaque with large ribbon shape welcomes friends to your home. 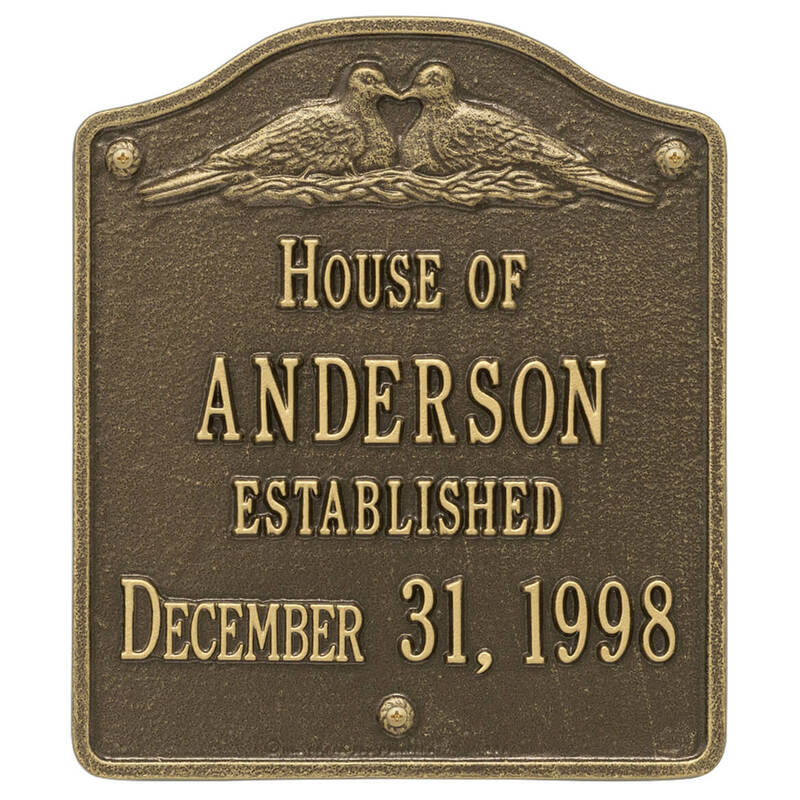 Space for Family name and established date make this personalized plaque a great wedding, anniversary, or house warming gift. Handcrafted aluminum wall plaque for indoor or outdoor use. Alumi-Shield™ protects against the harshest weather and environmental elements, extends the product life and maintains the look and function. Specify message: limit 2 lines, 12 characters each. Made in the USA.